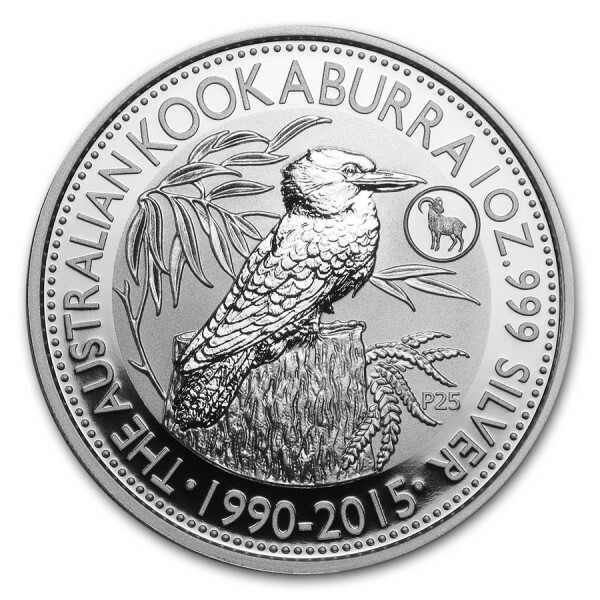 In 2015, The Perth Mint celebrates 25 years of the Australian Kookaburra bullion coin series with the coins featuring the original coin design from 1990. The obverse of each 2015 1 oz Silver Australian Kookaburra coin depicts an adult kookaburra sitting on a tree stump surrounded by eucalyptus leaves and a fern along with the purity of .999 fine Silver and the dates 1990-2015. The Ian Rank-Broadley likeness of Her Majesty Queen Elizabeth II and the monetary denomination are shown on the obverse. This beautiful Silver Kookaburra contains one full ounce of .999 fine Silver! 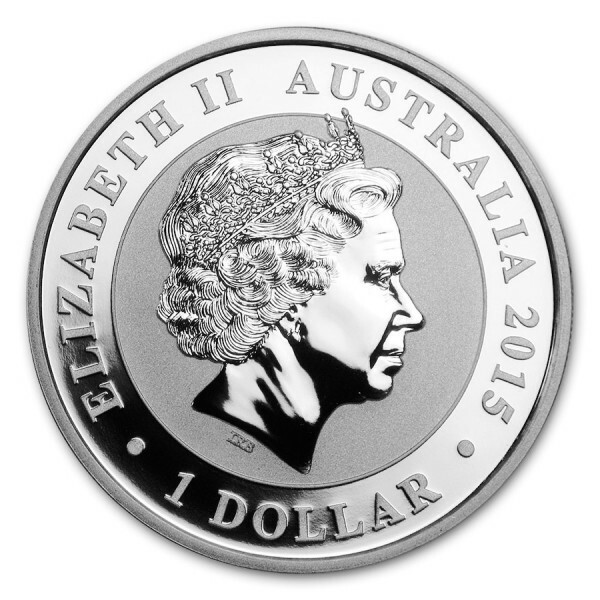 The Perth Mint has issued a strict mintage cap of 50,000 for these Silver coins, which means no more will be minted. Additionally, this issue features a privy mark celebrating 2015 as the Year of the Goat.